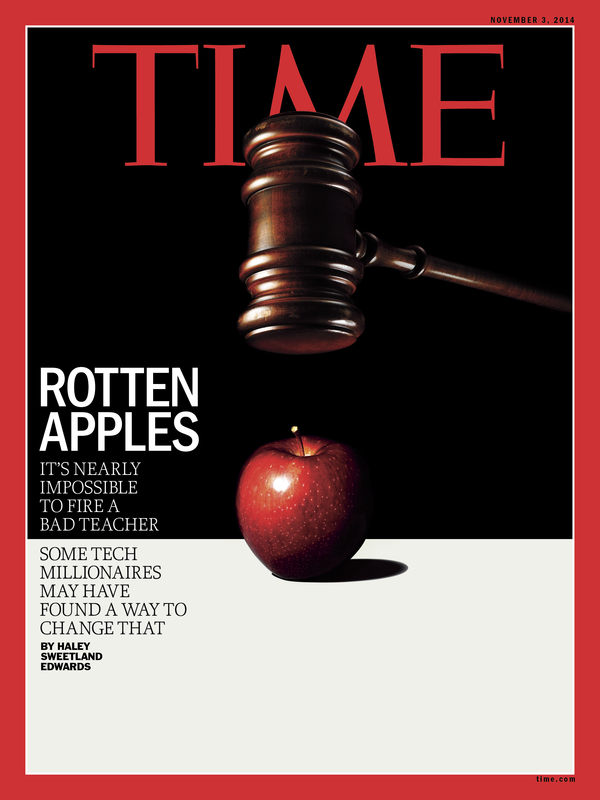 What’s Behind TIME Magazine’s Teacher Hate Turnaround? The recent TIME Magazine article about teachers describes beaten-down, courageous individuals, struggling to remain in a profession where they are not honored like they deserve. TIME seems to suddenly love teachers. 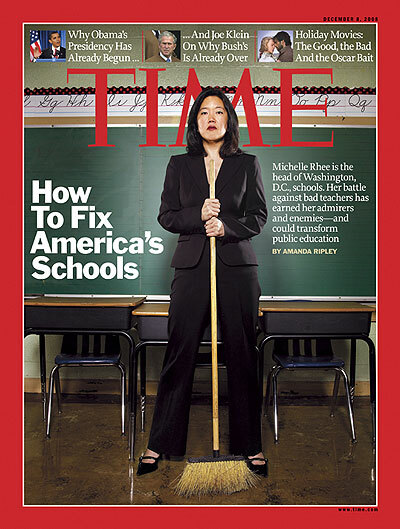 Or how about this one with the Reform Queen Michelle Rhee sweeping away the “bad teachers”? TIME is not alone. 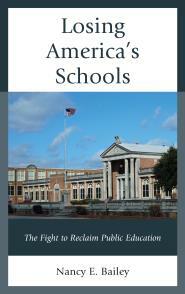 The media has condemned the teaching profession and public schools for years. They’ve helped to drive corporate school ownership by individuals who know little about children. They’ve made it their business to report unfair high-stakes testing results. They’ve help to foist standards, including Common Core, and strict accountability standards. They’ve done this all while praising “no excuses” charter schools, like KIPP, or shown off the corporate millions spent on programs like Teach for America. They created an artificial debate that education failed our kids, by pumping up for-private enterprises that were supposed to change the status quo. Remember the bias NBC’s Education Nation, in-part sponsored by the for-profit University of Phoenix? Scan articles by USA Today, or even the liberal leaning New York Times, and you will find anti-teacher messages galore. So why is TIME seemingly changing their stripes? Since last November, TIME has had new owners. Are billionaires Marc Benioff and his wife, Lynne, who purchased TIME for $190 million, more sympathetic to teachers and their public schools? Why did TIME see it as necessary to write a pro-teacher article? Why did they showcase a committed professional who can’t take sick days because they won’t have money for gas? Or tell the story of a 12-year veteran teacher still living in a one-bedroom apartment with her child? Why did they tell us about a mom who has taught 20 years and can’t make ends meet for her daughter with autism? How did they decide to describe the teacher who struggles to help his immigrant family, despite having two master’s degrees? Teaching has been primarily a woman’s job at a time when women are finding their voices. They even allude to the effort teachers go through to get degrees that go unnoticed, unlike other professions. They go so far as to warn about the dangerous practice of states resorting to hiring non-professionals to fill the vacancies of teachers who’ve left. Did TIME look at the teaching profession and say, well it’s all over. Let’s say how sorry we are that we’ve destroyed them all these years? No. I think, TIME is watching change. Maybe they’re embarrassed by such an inept education secretary as corporate Betsy DeVos. Most of all, it looks like they noticed the courageous teacher walkouts in West Virginia, Oklahoma, Kentucky, and Arizona, of which they write about. They’re watching the likely upcoming walkouts in Washington State (where they are already happening) and Virginia. Perhaps TIME notices the “Wear Red for Ed” movement showing solidarity among teachers and parents. 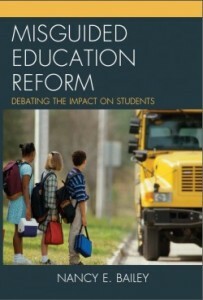 They dedicate a section of their report to education as a topic finally in the midterms. Hundreds of teachers are running in the upcoming election. I think TIME notices that teachers are strong and will not give up their profession easily. That isn’t to say that the threats to education are not grave. Technology is sweeping into school districts with few regulations or debate. Parents are frightened about student privacy when they hear about the dangers of online data collection. But the American people especially parents seem tired of school reforms and corporations that fail children. The media might want to get on the right side of history. If they don’t, no one will care about their reporting anymore. So thank you, TIME. I am still not renewing my subscription, although I did purchase the magazine at the bookstore. Keep up the good work! Katie Reilly. “The Life of the American Teacher.” TIME. 192(121): p.27-33. September 24, 2018. You support an important (if often minimized) aspect of teaching by saying that “Teaching has been primarily a woman’s job at a time when women are finding their voices. ” I found when I was writing about how abusive the sudden NCLB testing invasions were, attached as they were to so much teacher blame and endless administrative dictates which changed on a whim, that I suddenly resonated with an article about Emotional Abuse. Emotional Abuse is long associated to the lives of women, and as I read through a list of how it is recognized, I saw that each trait could now be found inside our schools as actions being used against a world made up largely of women. Excellent point, Ciedie! I am trying to remember the excellent post written about teacher gaslighting a few years ago. But this treatment of teachers must end. Thank you. I think it is due to journalistic whim. Journalism is naturally a demanding job that requires time and money to look closely at a topic. You have to research, interview, write, revise….but wait, Nancy, you know this more than anyone, producing these pieces every few days for people like me to read. Often what you get as an editor is just copy, even at the highest levels. If is seems compelling, you print. Now That the stories of incompetence in educators are stale, they are printing other stories that have come to light largely due to the efforts of people like you changing the conversation. The teacher walkouts have highlighted situations that have been there all along, now the editors think these stories will sell copy to a public that might want to read it. So pat yourself on the back. You are why Time has rediscovered sympathy for teachers.